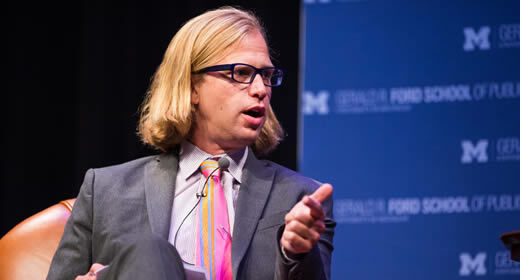 In "Pinpointing racial discrimination by government officials," Justin Wolfers' October 6 article for The New York Times "Upshot," Wolfers highlights soon-to-be published research that finds local government officials in the U.S. are less responsive to African-Americans than they are to Whites. The research, conducted by Corrado Giulietti (University of Southhampton), Mirco Tonin (Free University of Bozen-Bolzano), and Michael Vlassopoulos (University of Southhampton), analyzes responses to 20,000 emails the three sent to local government employees in nearly every county in the United States. The emails included simple questions, like queries about business hours. The only difference was the name attached to each email: half were from a DeShawn Jackson or Tyrone Washington (names most commonly associated with Blacks), while the other half were sent from a Jake Mueller or Greg Walsh (names typically associated with Whites). Giulietti, Tonin, and Vlassopoulos tracked email responses and analyzed the level of politeness in each response by tracking positive words like "good" and "thank." They found that emails from those with Black-sounding names received fewer responses overall and fewer polite responses than emails from those with White-sounding names. "The new findings provide further indication of the many ways in which discrimination shapes the lives of African-Americans," writes Wolfers. "What's more, when it's harder to get your neighborhood librarian to respond to a single email about opening hours, it's not much of a leap to imagine other interactions -- dealing with a computer help desk, the front office at a school or just the dry cleaner -- that go less smoothly." Authors of the paper say the behavior of people within local government could be due to unconscious bias, explaining awareness as a potential solution. --By Olivia Lewis (MPP '18).